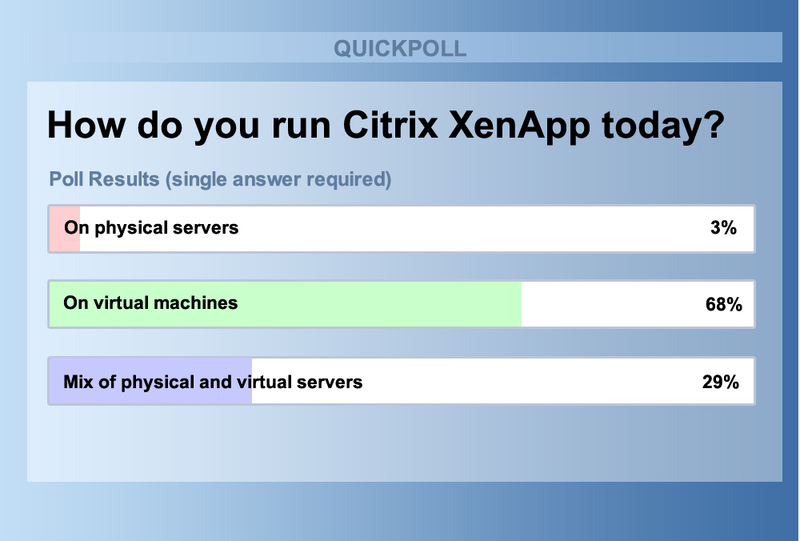 We asked attendees during a recent webinar whether their Citrix XenApp servers are running on virtual machines, physical servers, or a mix of both. The results are in: a clear majority of 68 percent are running their XenApp environment in a virtual environment, 29 percent have a mixed virtual and physical environment, and only 3 percent of our audience still run XenApp only on physical servers. Despite the economic and operational advantages of virtualization, virtual environments are inherently more complex and make performance management more difficult. But how much so? In another webinar poll, we asked our IT audience about their biggest virtualization challenges. 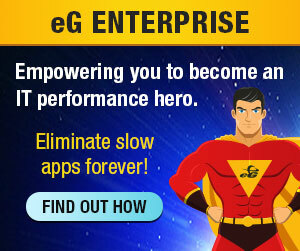 The poll revealed that performance and user experience problems top the list of virtualization challenges for 66 percent of IT professionals, followed by lack of visibility into virtual machines and their dependencies (47 percent), and the increased complexity of performance management (45 percent). Download the white paper “Performance Assurance for Virtualized Citrix XenApp Infrastructures“ and find out how to overcome performance challenges and deliver better service quality and user satisfaction while reducing cost and complexity.